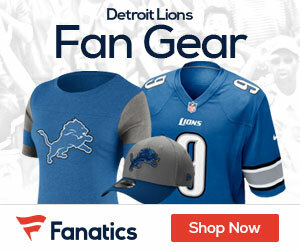 After losing Willie Young to free agency and the fact that Jason Jones is expected to come back from knee surgery, the Detroit Lions are looking to add talent at the defensive end position this offseason. Even though they recently signed Vaughn Martin last Friday, it looks like Detroit isn’t done acquiring more players. According to DetroitLions.com beat writer Tim Twentyman, the team has brought in defensive end prospect Larry Webster from Bloomsburg University for a pre-draft visit. 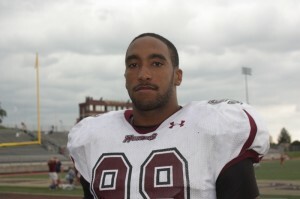 Webster originally went to Bloomsburg on a basketball scholarship before joining the football team in 2012. In two seasons, Webster played in 24 games total, recording 88 tackles, 31 tackles for loss and 26 sacks. At last month’s combine in Indianapolis, Webster ran the second fastest 40-yard dash among defensive ends with a time of 4.58 seconds. He also bench pressed 225 pounds 17 times, a vertical jump of 36 1/2 inches and a broad jump of 10’3″. Webster won’t be the only NFL player in his family. His father, Larry, played 11 seasons in the league with the Miami Dolphins, Cleveland Browns, Baltimore Ravens and the New York Jets from 1992-2002. Webster is currently ranked 255 overall and 21st at defensive end by CBSSports.com and is projected to be selected in the seventh round. The website also compared Webster’s talent to Cincinnati Bengals defensive end, Michael Johnson.